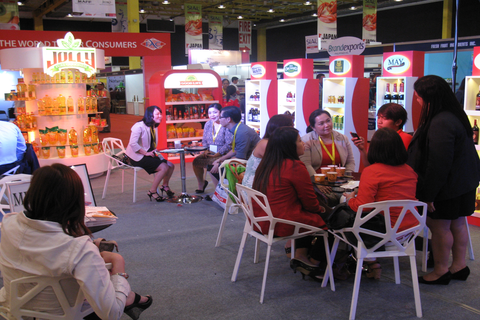 Fly Ace Corporation, one of the leading food and beverage consumer goods companies in the country today, was one of the exhibitors in the recent Salon International de l’ Agroalimentaire (SIAL) that was held in Manila from June 11 to June 13. Salon International de l’Agroalimentaire (SIAL) has continuously set the standards for worldwide food and retail industries. The exhibition has a unique food print, where its global knowledge---after doing exhibits in countries like Paris (where it started in 1962), Canada, Brazil, and China among others---is combined with a local approach in the host country. This year, SIAL was in the ASEAN region, particularly in Manila, nonetheless, as it celebrated its 50 years in the industry. Showcasing over 30 brands sourced from different parts of the world, the Fly Ace Corporation exhibit booth was impossible to miss. The booth was spacious with its own kitchen and bar set-up. Cooking demonstrations delighted guests as Chef Mitchie Sison whipped up exciting recipes that gourmands would love to re-create. The bar allowed guests to sample various kinds of juices. Food lovers were taken into a one-of-a-kind journey filled with mouthwatering gastronomic delights as top international and locally renowned chefs took the stage in SIAL La Cuisine and showcased their culinary techniques and best creations. On the first day of the exhibit (June 11), Chef Sison took the stage from 2:00 to 3:30 p.m. On June 12, Chef Eugene Raymundo of Kitch Café did a cooking demo from 4:00 p.m. to 5:30 p.m. He showcased a selection of must-try recipes. Fly Ace Corporation is one of the country’s leading food and beverage consumer goods companies with a wide array of food and beverage products ranging from canned fruits and vegetables, oils, beverages, snacks, spreads and cereals, noodles, pasta, condiments, sauces, and other categories. The company sources products from around the globe, bringing the best of the world closer to Filipino consumers. In 1972, the company started as Jolly General Merchandise, which specialized in retailing of agricultural products. It was incorporated as Fly Ace Corporation in 1993. In 1997, the company started to venture into private labeling under the Jolly brand. From a small office in Binondo, the company now has its own building, Fly Ace Corporate Center in the bustling area of Pasay City. The company has exhibited tremendous growth from having two employees to over 200 professionals today, all experts in their respective fields. Its commitment to offer high quality and excellent products at prices affordable to Filipino families propels its continuous growth. Fly Ace products may be found in almost every Filipino home. Jolly Whole Mushrooms (the No. 1 mushroom brand in the country), Jolly Whole Kernel Corn, and even Jolly Cream of Mushroom Soup have become kitchen staples among other Jolly canned fruits and vegetables. 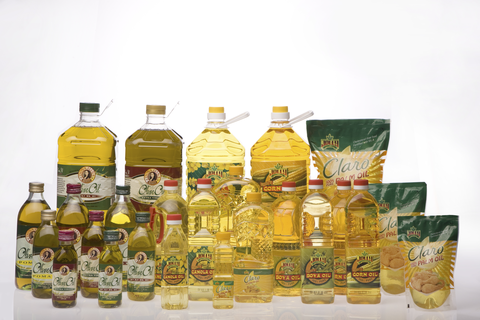 Just as Filipinos love everything fried, one can choose from a wide array of cooking oils---including Dona Elena Olive Oil (the No. 1 olive oil brand in the Philippines), Jolly Canola Oil (the No. 1 canola oil) ,and Jolly Claro Palm Oil, which offer both affordability and best quality to the distinctive cook. Bertolli, the No. 1 olive oil brand in the world, is also exclusively distributed by Fly Ace Corporation. When it comes to beverages, Fly Ace is a dominant player in the 100% juice segment with its various exclusively distributed brands including Happy Day (the No. 1 juice brand in Austria and No. 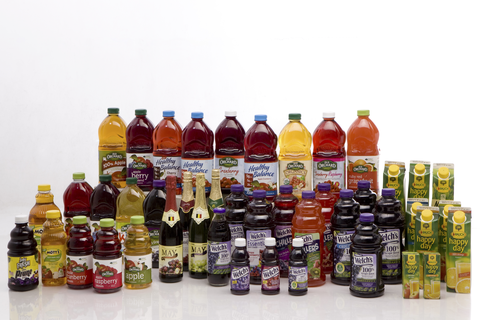 2 juice brand in Europe), Old Orchard, Welch’s, May, Mott’s, and its house brand, Jolly Fresh. Jolly Cow UHT Fresh Milk and Jolly Cow Non-Fat M ilk are sourced from Germany, where the purest and most premium milk are packed. Franzia (the world’s best-selling wine), Concha Y Toro (the No. 1 imported wine from Chile in the USA, UK, and Canada), and house brand Dona Elena wines appeal to the more refined wine-drinkers. Gerolsteiner, the world’s No. 1 sparkling mineral water which originates from the Volcanic Eifel in Germany, will soon be introduced to the Philippine market. Oriental dishes are made more appetizing with Good Life noodles and condiments, while Dona Elena Al Dente pasta, the only pasta brand in the Philippines bearing the Artisan Quality claim, allows for firm and saucy pasta dishes. If you love spreads, choose from either Crumpy, which is made from high-quality Belgium chocolates, or Jolly Spreads with its irresistible milk chocolate taste. Jolly Real Mayonnaise is another spread that’s perfect for sandwiches and salads. Breakfast lovers will find the adult healthy cereals, Simply Cereal and Nature’s Path (USA’s No. 1 organic cereal brand), enjoyable to the morning palate. Fly Ace was recently appointed as the exclusive distributor of Lotus, the No. 1 biscuit company in Belgium and the No. 1 caramelized biscuit in the world.